Forget the idea that you can’t teach old dogs new tricks. As parents, it’s up to us to do the best for our pets by taking care of them and providing them with everything they need. That especially includes feeding them fresh, nutritious food that will keep them healthy. No matter how old your dog or cat is, it’s never too late to get him on a diet that will help them live longer and happier. 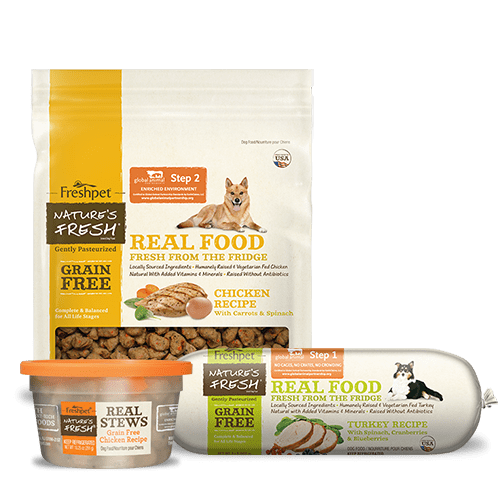 Our good friend Dr. Katy has given us a few guidelines to remember when giving your pup or kitty the Fresh Start he deserves. The first thing to always remember is that there is no “one size fits all” diet. 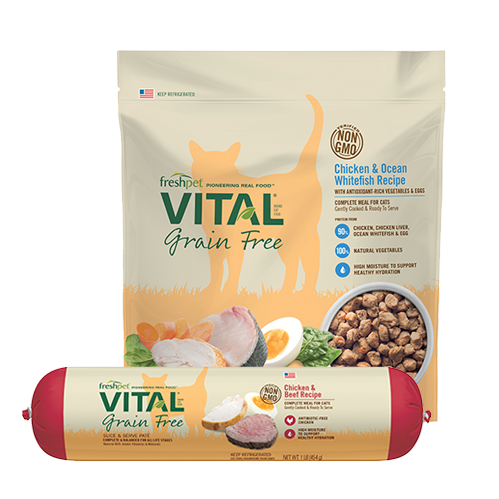 Pets, like humans, have different dietary requirements as they age. An older dog, for example, doesn’t have as many energy requirements a young, active dog. That means they shouldn’t consume the same amount of food as one. Every pet’s needs are different, depending on his breed, weight, age, and other factors. 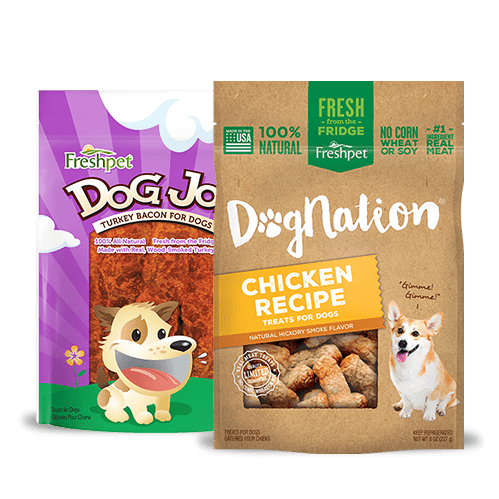 But every pet’s diet should contain the appropriate nutrients and amino acids that dogs and cats require to maintain healthy coats, immune systems and muscles. 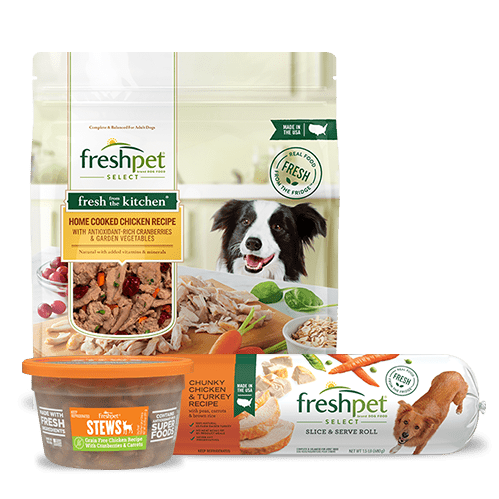 This means feeding a well-balanced, fresh diet like Freshpet Select Slice & Serve Chicken Recipe for dogs, for meals that contain protein-rich chicken, vitamin-rich vegetables and high fiber brown rice. 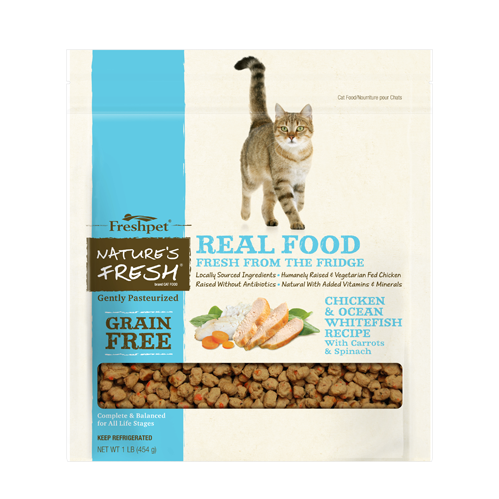 For Cats, I recommend Freshpet Select Roasted Meals for Cats Chicken Recipe, made with bits of fresh chicken, real ocean whitefish, accented with carrots and spinach for a meal that your cat will love. 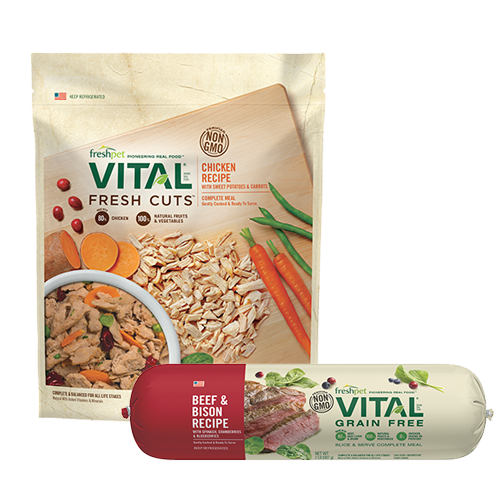 If you’re planning on changing your pet’s diet, slow and steady is the key. Aim for a 7-10 day transition in which you slowly add more and more of the new diet and less and less of the old diet until your pet is completely switched over. By doing this, you should be able to avoid any gastrointestinal upset that would be expected with an abrupt change. As always, consult with your vet about the type of food and how much you should be feeding your pet. 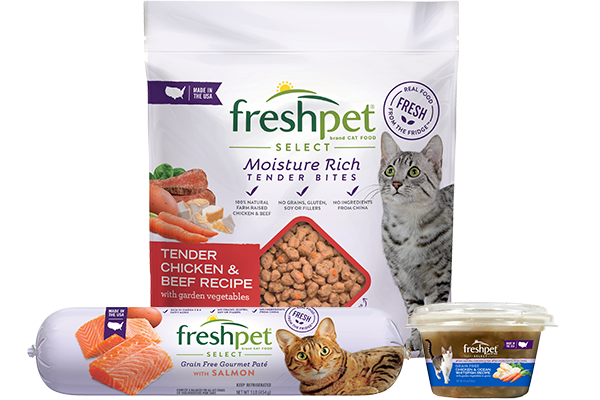 After you start feeding your pet fresh, expect to see a great change in him. Increased energy, improved weight and a soft, shiny coat are just a few ways that you’ll see your pet improve. You may even notice that he’s generally happier! Use our own Fresh Start score card to start keeping track of all these wonderful changes that you’ll see in your pet. Don’t forget that your pet also needs exercise, even in his older years. Inactivity can lead to weight gain and added stress on his joints. It’s also important that you consider how much activity he can actually take. Short, easy walks are always recommended for dogs. If you have stairs, try having your pet climb up and down them with toys and treats. If you’re lucky enough to have a dog that likes to swim and access to a body of water, swimming is great for your dog’s muscles while easy on his joints. Every little bit of exercise helps, and your pet will be happy to have the playtime with you! 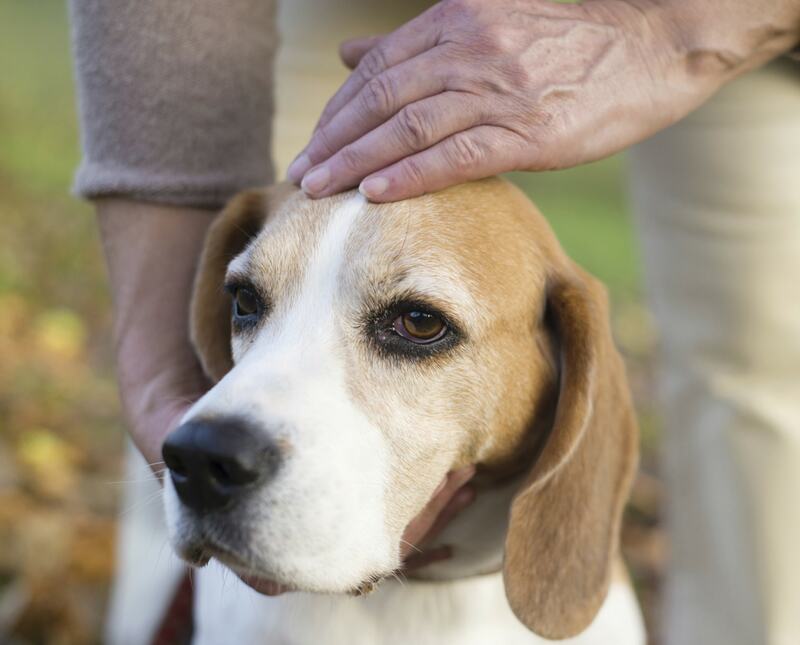 Older pets are an absolute joy to have as a part of your family. If you are lucky enough to be the parent of one, always remember that no matter how senior he is, there’s always something you can do to give him a Fresh Start.